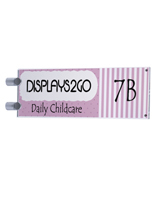 2.5" x 8.5" 3.75" x 5" 3.75" x 8" 4" x 12" 5.5" x 8.5" 5.9375" x 9" 6" x 6"
These wall mounted acrylic sign frames feature a double sided design for facing both directions of a hallway. 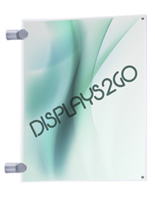 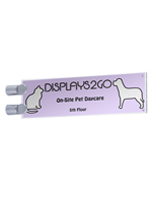 Each display consists of clear panels with (2) silver standoffs that stand 1" away from vertical surfaces. 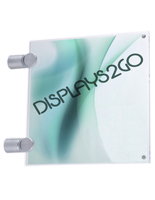 With these acrylic sign frames, users can showcase 11" x 8.5" graphic in a landscape orientation. 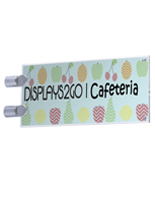 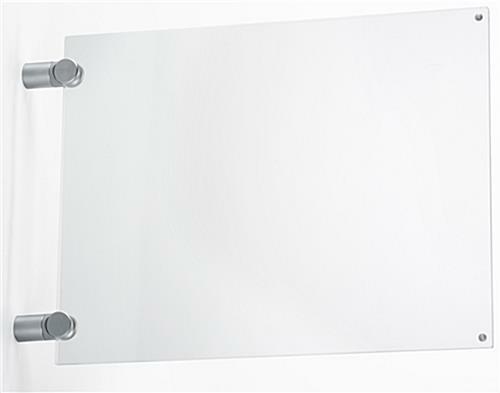 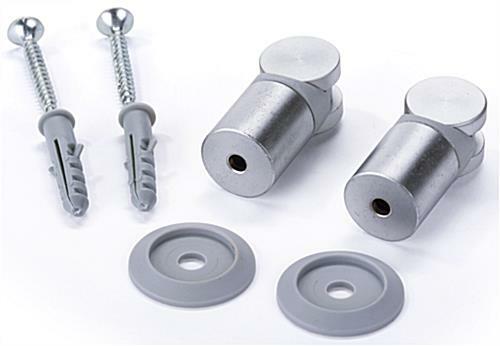 The clear holders with silver standoffs can be used for advertisements, wayfinding information and for featuring nameplates. 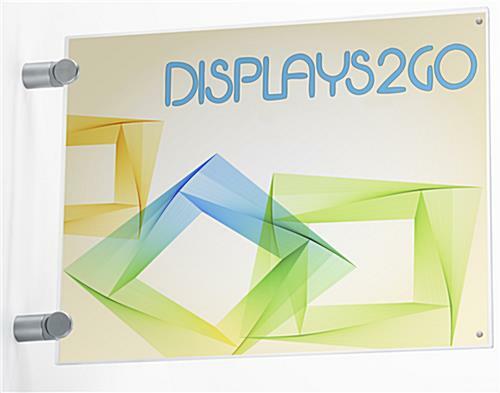 The landscape sign frames are a great choice for office buildings, schools, medical centers and hotels. 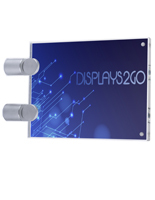 The double sided displays are also availble in a portrait orientation. 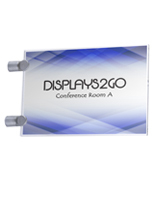 Please Note: The viewable area is obstructed by the two standoffs. 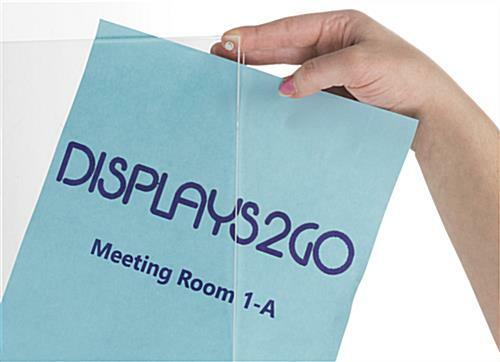 Please keep this in mind when designing your graphics. 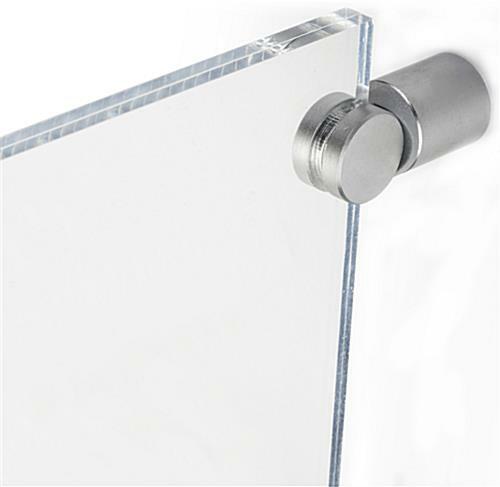 11.0" x 8.5" x 0.75"